Xiaomi Mi and Redmi phones such as Poco F1, Mi 8, Mi A2 etc. have taken smartphone market by storm due to their excellent value for money proposition. All these phones support QuickCharge 3.0 charging and have USB-C charging ports and therefore for latest Mi and Redmi phones, Quickcharge 3.0 powerbanks are the fastest and most suitable portable chargers. Here are the best powerbanks for latest Mi and Redmi phones according to charging features, features, build quality, warranty, customer service, Quickcharge 3.0 compatibility, charging time etc. 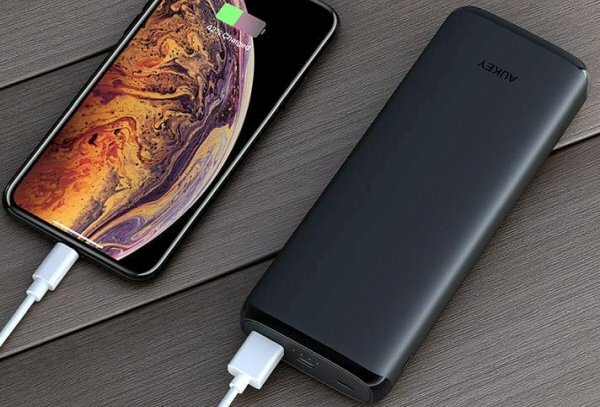 Aukey 10000 PD+ QC3.0 powerbank is our top pick as powerbank for latest Xiaomi phones such as Mi 9/8, Redmi 7/6, Pocophone F1 etc. due to a combination of a number of features and good build quality. The powerbank fast-charges latest Mi and Redmi phones at QuickCharge 3.0 speeds (zero to 50% in 30 minutes) and comes with a USB-C input port with Quickcharge compatible input. This enables you to charge the powerbank fast in just 5 hours directly with the wall charger that comes with your Mi/Redmi phones – without requiring any new extra cable. All high-end Mi/Redmi phones come with Quickcharge 3.0 wall chargers. Aukey 10000 PD+ QC3.0 will charge Mi 8, Mi 8 Lite, Mi 8 Pro, Mi 9, 20% to 100% twice. The powerbank also supports charging USB-C PD devices @ 18-watt . Even though, Mi/Redmi phones do not support USB-C PD, the USB-C PD output of Aukey 10000 PD+ QC3.0 powerbank allows you to fast-charge both latest iPhones (Xr, xs, 8/8++ Samsung and other (LG/Moto) Android phones (S10/S9/S9+Note 9 etc.). The charging speed for new iPhones and most Android phones is almost zero to 30% in 30-35 minutes. Another very handy feature of Aukey 10000 PD+ QC3.0 powerbank is that it also has an Apple Lightning charging port for charging the powerbank with iPhone’s Apple wall chargers. It even has a micro-USB port for charging the powerbank with phone chargers of old Android phones. Aukey 10000 PD+ QC3.0 also supports low-power charging output for charging wearables and low-energy draw (less than 60mAmps) devices such as smartwatches, wireless headphones, fitness bands etc. The portable charger is so far the best built Aukey powerbank etc.we have seen and has a sturdy stubby built. It comes with 24-month replacement warranty. Mi/Redmi Compatible Quickcharge 3.0 support, fast-charging of powerbank over USB-C with Mi/redmi wall chargers, flexibility in charging the powerbank with a wide type of phone chargers, 18-watt USB-C PD support for latest iPhones and Samsung phones, combines with great price and build quality makes Aukey 10000 PD+ QC3.0 powerbank our #1 powerbank for Mi phones. Fastest supported charging (by powerbanks) for Mi 9, Mi 8, Pocopfone F1 and other Mi and Redmi phones. 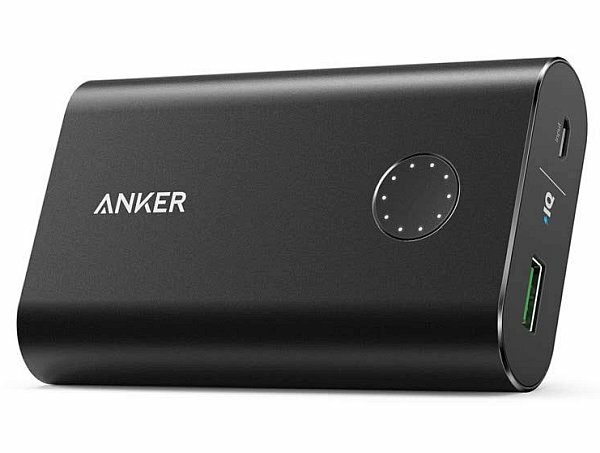 Anker PowerCore+ 10050 is our next choice as portable charger for all the new Xiaomi phones such as Mi 9/8, Redmi 7/6, Pocophone F1 etc. It offers best-in-class build quality and the fastest supported (by powerbanks) fast-charging mode for Mi and Redmi phones. The powerbank will charge latest Mi/Redmi phones at QuickCharge 3.0 charging speeds (zero to 50% in about 30 minutes). As it supports Quickcharge input as well, you can charge the powerbank in about 5 hours Mi/Redmi phone chargers. You can use the USB-A to USB-C cable that came with your phone to charge the phone from the powerbank. Anker PowerCore+ 10050 charges latest Xiaomi Mi and Redmi phones such as Mi 8, Mi 8 Lite, Mi 8 Pro, Mi 9, from 20% to 100% twice. The portable charger has rock-solid build quality and is one of Anker’s highest rated and bestselling powerbanks so ever. While the Anker PowerCore+ 10050 is great for Mi/Redmi phones and QC 3.0 Android phones such as LG G7, G6, V40, V30 etc., the powerbanks does not support USB-C PD fast charging supported by Google Pixel phones and newer iPhones. Anker PowerCore+ 10050 will charge all iPhones at about zero to 50% in 40-50 minutes. Overall, the charger offers a great fast-charging+build quality+brand assurance package for Mi and Redmi phones. Its only drawback is that it does not have a USB-C input port (for charging the powerbank) and you will have to use the included free micro-USB cable to charge the phone with your phone’s wall charger. Also, as no USB-A to USB-C cable is included, you will have to use your phone’s USB-A to USB-C cable or buy an extra USB-A to USB-C cable to charge your phone. Other than this, it is an easy recommendation, even given the higher price. Fastest supported charging (by powerbanks) for Mi 9, Mi 8, Pocopfone F1 etc. No USB-A to USB-C cable included. You can use cable that came with your Mi/Redmi phones or have to buy a new USB-A to USB-C cable if you use powerbank frequently and do not want to take out cable from wall charger and plug it in powerbank each time while charging the phone with the powerbank. 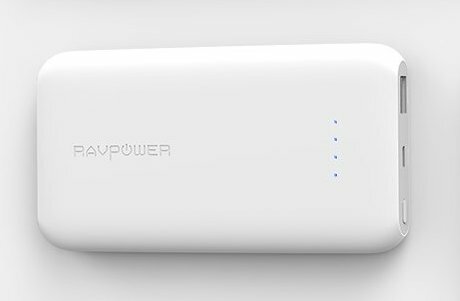 RAVPower 10000 QC 3.0 powerbank is our choice as best slim powerbank for all the new latest Xiaomi phones. The powerbank offers QuickCharge 3.0 charging (zero to 50% in about 30 minutes) for Mi and Redmi phones in a slim and very pocketable form factor. As it also supports Quickcharge 3.0 input , RAVPower 10000 QC 3.0 can be charged in just 5 hours with Mi and Redmi phone wall chargers. The powerbank will charge iPhones and other non-Quickcharge 3.0 Android phones at about zero to 50% in 40-50 minutes. The portable charger is just .6 inches thick and weighs about 7oz. This makes it one of the lightest and slim powerbanks in the market that support both Quickcharge 3.0 Input & Output in a slim package. RAVPower 10000 QC 3.0 lacks USB-C input port and therefore if you want to use your MI/Redmi phone charger to charge the powerbank, you have to use the included free micro-USB cable. Supports fastest charging (by powerbanks) compatible with for Mi 9, Mi 8, Pocopfone F1 etc. No USB-A to USB-C cable included. However, the cable that comes with Mi/Redmi phones can be used for charging the powerbank. Aukey 20000 PD+ QC 3.0 is our top recommendation as medium capacity (about 4 recharges) for latest Xiaomi phones such as Mi 9 and Mi 8, and F1 etc. Aukey 20000 PD is identical to our #1 pick Aukey 10000 PD with the only difference being that it comes in double capacity. In all other features, it is exactly same as Aukey 10000 PD and offers the same incredible versatility and flexibility. The powerbank fast-charges latest Mi and Redmi phones at fastest possible speeds offered by any powerbank (QC 3.0 – zero to 50% in 30 minutes). Aukey 20000 PD can be charged in just 6 hours Mi/Redmi phones phone chargers directly – without any extra cable – as it has USB-C input port. 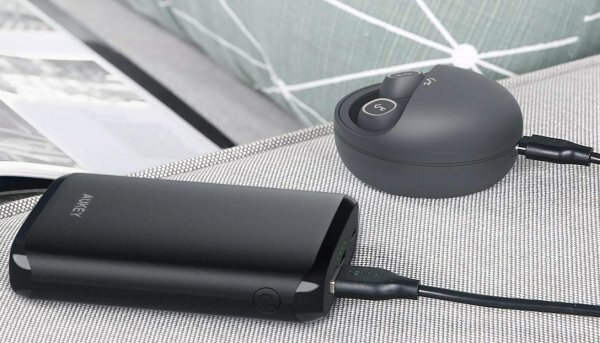 Aukey 20000 PD will charge Mi 8, Mi 8 Lite, Mi 8 Pro, Mi 9, 20% to 100% four times.